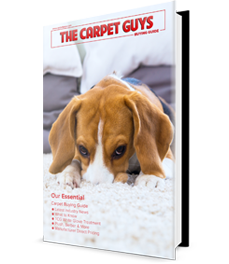 Carpet Guys > Blog > Is Vinyl Flooring Safe for Homes with Pets? 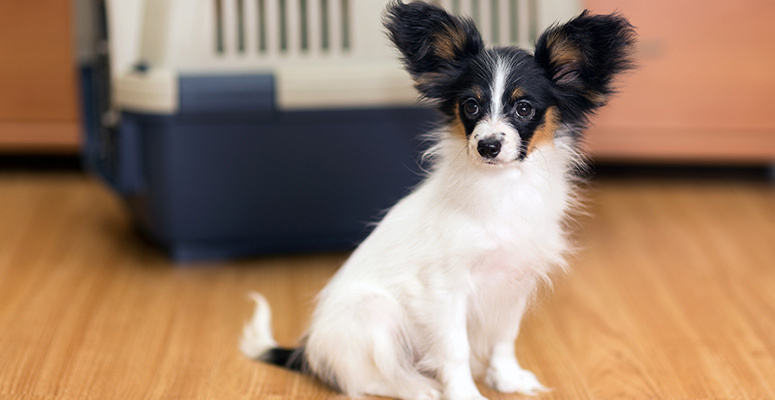 Is Vinyl Flooring Safe for Homes with Pets? Whether you’re building a new home or remodeling your current one, flooring choices are essential to your overall happiness within your living space. The type of flooring can really make or break a room’s overall appearance and aesthetic, and that’s why we like offering so many choices for our customers. Installing vinyl flooring is an excellent choice for homeowners who own pets, whether they’re cats or dogs. It’s a popular choice for customers who have furry friends for several reasons. Vinyl flooring naturally resists scratching from sharp claws, so you can install it with confidence knowing that your cat or dog won’t ruin the surface by walking over it repeatedly or scratching at it. It’s also stain-resistant, helpful for times when your dog has been in the backyard digging in the mud or has gone on a walk where he got into some dirt and a few puddles – water and dirt stains clean up right away on vinyl floors. The same goes for juice and other liquids spilled by small children, as the surface is very easy to clean. Everything mops right up and won’t stain on a vinyl floor. Vinyl flooring is also resistant to moisture buildup. Vinyl flooring is made to withstand years of use and can hold up its appearance in high-traffic areas of your home. It’s an ideal flooring selection for bathrooms, entryways, and kitchen area hallways where lots of members of your family (human and furry) walk several times a day. If you own a dog, you understand that sometimes they can make quite a racket with their nails making a “clack-clack” sound across the floor. This won’t happen on a vinyl floor because the material softens the sound. If members of your family are prone to allergies, not to worry with vinyl flooring, as it’s a great allergy-friendly flooring choice for individuals who have sensitive systems and are prone to irritation from other materials. As mentioned above, because it resists moisture buildup, it means mold and mildew won’t form, which are other common allergy triggers. There’s a large variety of vinyl flooring styles, colors, and patterns to suit your home’s decor. It’s no longer just for kitchens and bathrooms—vinyl flooring looks luxurious in all types of living spaces, including living rooms, sitting areas, and hallways. Some are made to look like stone or slate, while other patterns look like authentic hardwood. Any active household with lots of pets or children should consider vinyl flooring for their next home remodeling project.